When I set out to draw this gag I struggled with the expression on the job applicant's face. I wasn't sure whether I should draw him looking embarrassed or confident. I settled on confident and I think it was the right decision. I mean, why shouldn't we be able to include our Church service as prior work? It's not like it is not any less labor intense. Reminds me of my interview for medical school. 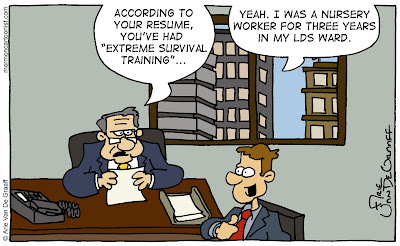 Under the heading "service experience" I listed my LDS mission. The guy interviewing me was clearly hostile toward the Church (I went to the U of U, after all) and denounced a Mormon mission as anything but service to myself. If only I had thought of the couple of times I had substituted in the nursery. I could have shown him what legitimate service in a hazard zone looks like. I'd like to see the same guy side by side drawn as confident and embarrassed. What kind of primary presidency would pull such a sick joke and keep someone in the nursery for 3 years? It's interesting to see how missions and church service are perceived by the outside world. 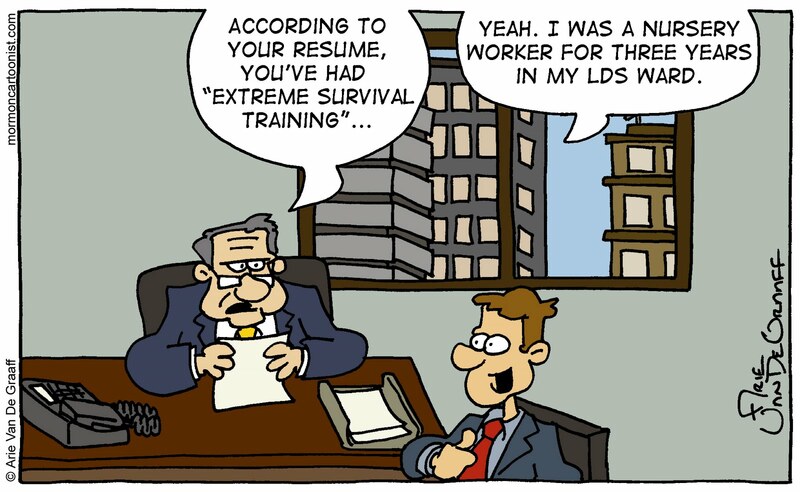 I reviewed a resume recently of an applicant who was obviously (if you speak the code) in the stake presidency -- but who in the outside world would understand what that entailed? 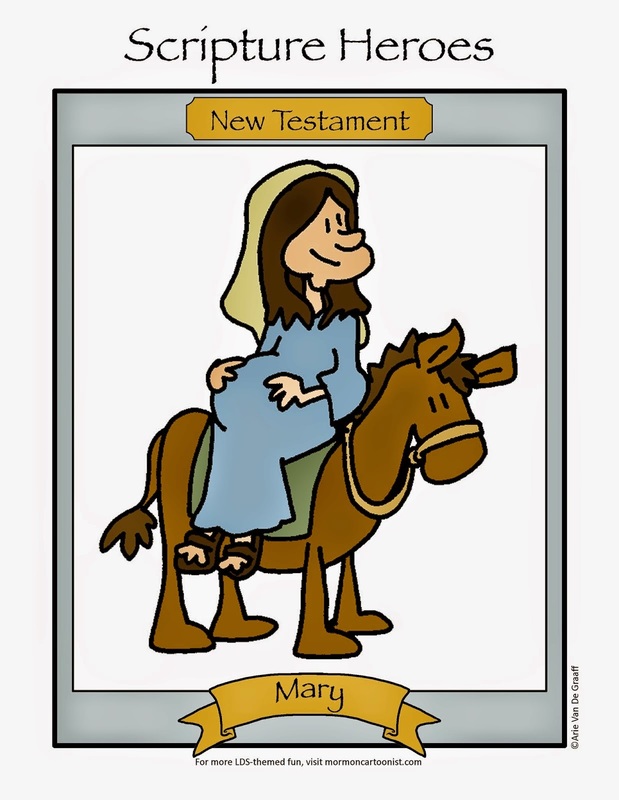 If the applicant in your cartoon was really in the nursery for three years, why does he still have hair? BTW, I like the buildings in the background. Nice work! Great comic. I have been in the nursery for the last 8 months.